My last post was the first on a reason why is my website not showing up in Google. You may have been wondering why exactly your website is not showing up when you search some of your targeted keywords. There are a few reasons this happens. But for the sake of that post and this one, we’re going to assume it has to do with bad backlinks. 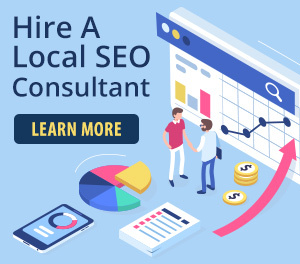 A few of our current clients have worked with other SEO companies in the past. They have seeked us out because their rankings are lacking or worse, their website is not showing up in Google. We usually find the previous SEO company has followed SEO principles from years past. So things that worked back in 2011 and before, don’t work now. One of the biggest issues we see is links going back to some of our clients sites with the anchor text of their targeted keyword. In the case of Dri-Way Carpet and Upholestery Care, they had a bunch of links going back to their website with the anchor text of “Victoria Carpet cleaning”. 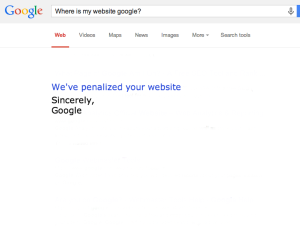 Google hit their website with a Penquin anchor text penalty. Now their website doesn’t even show up on page 10 for Victoria carpet cleaning despite having it in their page title. Here is a good post from MOZ on the over optimization on anchor text links so you can learn what the proper anchor text ratio is. So how can you recover from a Google Penquin anchor text penalty? In that last post, I explained how you need to find all the overly optimized anchor text links to your site. This post will tell you what to do with all those links. The first step Google suggests you do is contact webmasters of the websites and tell them your website has spammy links on it and ask them to remove them. Obviously this could be time consuming. Especially if your website has hundreds of bad links pointing to it. But it still is the first step Google suggests you take. If you visit WhoIs, you can learn who the webmaster of the site is and you should be able to find their email address or phone number. We suggest that you email them with your contact details and state that you would like them to remove the link to your website from whatever page(s). If they don’t respond within two weeks, you’ll have to move to the next step. Google suggests this is your last step to have those spammy or anchor text heavy backlinks not hurt your websites rankings. You’ll have to take your list and put it in a .txt file and upload it to your webmaster tools account. This is called the Google Disavow tool. Click on that link for full instructions on using this tool. Back in late April we submitted the disavow .txt file for Dri-Way Carpet and Upholstery Care. It’s been about 6 weeks and we still haven’t seen any change in rankings. Their website is still not ranking for “Victoria carpet cleaning”. But in our experience it can take up to three months to see any improvement. Until then we’re going to build branded anchor text links back to their website. We’ve done that twice in this blog post. As of January 3rd 2015, their website was back in Google’s good books and ranking again. Their website wasn’t ranking as of December 3rd 2014. You can see their rankings as of October 3rd 2015 here. So overall it took about 9 months from the end of April 2014 until January 3rd 2015 to recover the search rankings.